Running with your significant other can make your running trail more interesting and the roots of your relationship as strong as the ground beneath you. What holds couples back from running together? I often hear that running is thought of as a solo experience and always known as “me-time.” Can we change “me-time” to “us-time” without borrowing from the much-appreciated and valued alone-time experience? Runners often talk about the meditative aspect of the sport and how muting external noise helps to keep their heads clear. Whether it’s running in silence or to your favorite playlist, the sound is controlled. In order to combine the experience of moving meditation with the enhancement of your personal relationship, there should be a few things you and your partner are on the same page about. First, it’s quiet time for both of you. Perhaps if you can understand each other during the silence of your run, you can also understand each other during the sound of your conversations outside of running. What you strengthen in one space might lead to improvement in another, as long as you can agree beforehand that you’ll both take a similar approach and respect the boundary set. What comes easy in relationships tends not to last too long, and what lasts long may take some hard work and effort on both your parts. So instead of the sound of each other’s voices, you’ll embrace the other’s company in these ways: matching gear, healthy competition, simultaneously gaining endorphins, moving meditation, similar heart rates, and a chance to pick trails/runs you both like or have been wanting to do. Not only do you get the opportunity to work on self-love while you hit the pavement, you get to work on loving your favorite person even more than you already do. 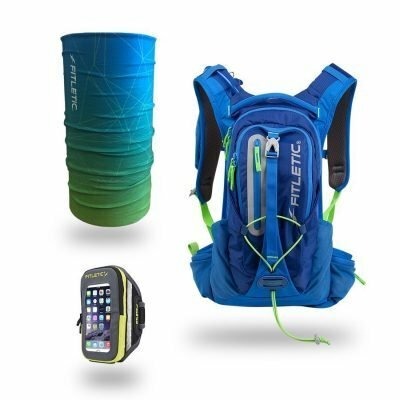 When the trail gets tough, you can empathize with your loved one beside you and how they may be struggling or conquering a new running goal. Being on the same wavelength as your partner may also elevate your mood…and matching gear might help. Leading busy lives can sometimes leave couples feeling distant from one another and this is the perfect opportunity to do something together while preparing together as well. 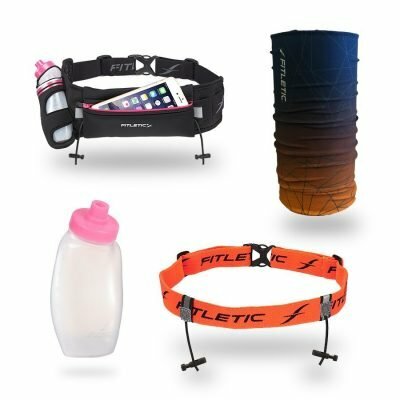 All of our products at Fitletic are conveniently unisex, giving you and your partner the opportunity to pick matching items that will keep your mind focused on your experience as running partners instead of on your belongings. 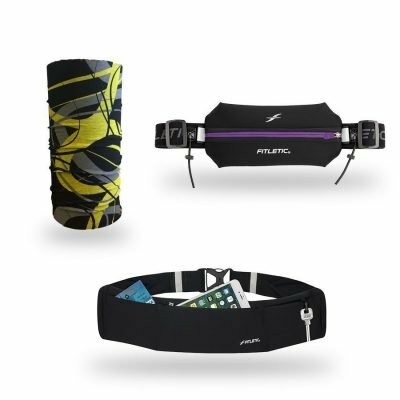 I suggest our Hydration Belts – the Hydra 12 or Hydra 16 belt for long-distance runners or the matching Surge running armbands if you two decide to listen to some beats while you run. 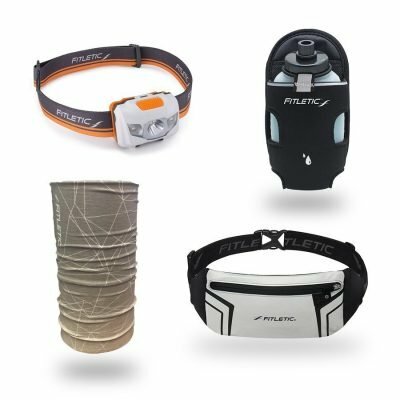 If you prefer a running and travel waist belt, try out the Blitz, it even has an earbud port for easy access and listening purposes. 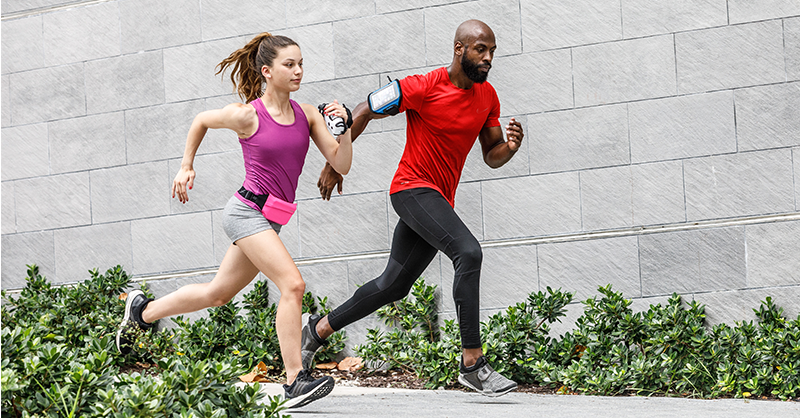 If you’re looking for a way to bond with your mate this weekend, why not recommend going for a light jog — or if you’re both serious runners, a more endurance-focused run – together? Perhaps plan something for afterwards that you can both enjoy, like a nice home-cooked healthy meal, or a walk to a local juice bar to refresh and refuel. Whatever it is, try winding down together as well. I was once given some profound relationship advice that went something like, “Relationships have one law. Never make the one you love feel alone, especially when you’re there.” And that’s our case for running with your mate. 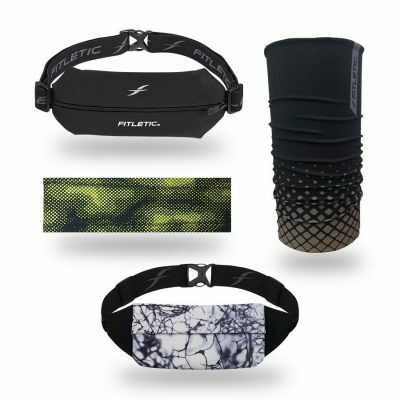 Don’t forget to grab your favorite Fitletic accessories to gear up and go!